Congratulations to my colleague, Bob Murphy, and his wife, Kinzie, on receiving the Charles J. Soderquist Award from the UC Davis Foundation for their volunteer leadership and philanthropic support. Bob, a U.C. Davis graduate, is a public agency, development and finance attorney at Kronick and previously served as the firm’s managing shareholder and head of the firm’s public agency practice group. His wife, Kinzie, is also a graduate of U.C. Davis, and is a speech pathologist in private practice and lecturer and clinical instructor at Sacramento State University. 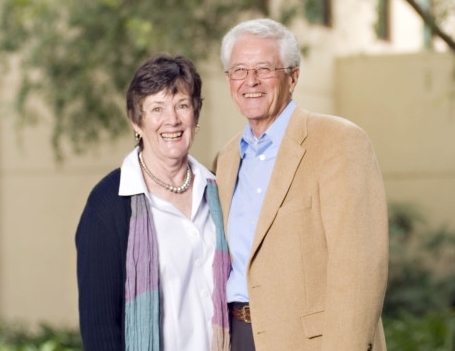 The Murphys have supported scholarships through the UC Davis Cal Aggie Alumni Association since 1985 and endowed their own scholarship in 1999. “Bob and Kinzie have continually been among the most dedicated campus citizens, always championing the university among the greater UC Davis community and beyond,” said Shaun Keister, Vice Chancellor of Development and Alumni Relations and President of the Foundation Board. The Soderquist Award comes with a $5,000 prize that recipients may give to the university program of their choice. The Murphys will use their prize to create the George and Adele Nickel Family Scholarship for Education in Production Agriculture for undergraduate students in the College of Agricultural and Environmental Sciences. The choice grew out of their interest in sustainable foods and family background in farming – Kinzie’s family has farmed in the San Joaquin Valley for six generations.